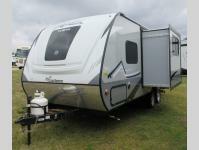 Looking for a travel trailer to call your own? 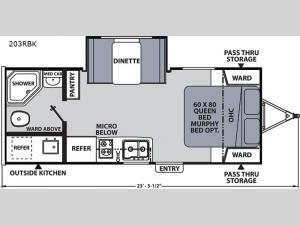 This unit features all of the necessities, plus many comforts of home. 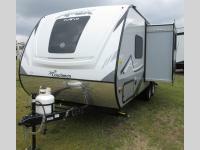 Model 203RBK allows you to dine, play games, and even sleep on the slide out dinette. 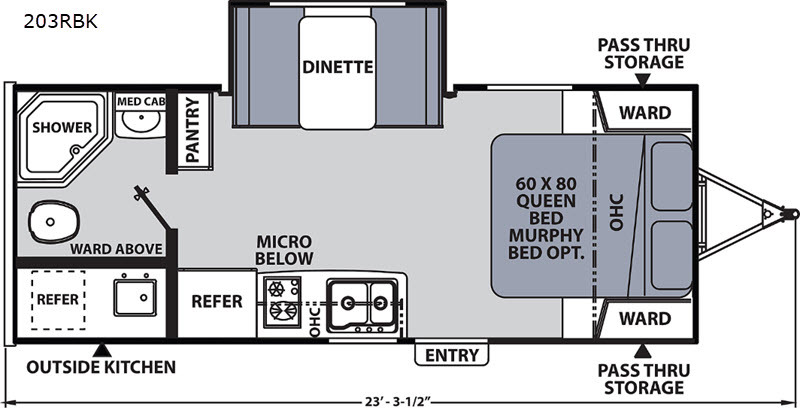 You have an inside and an outside kitchen to choose from, plenty of storage inside and outside, and your own queen bed up front with an Evergreen sleep mattress or you can choose the optional Murphy bed for even more convenience. There's even a stainless steel microwave for you to pop a bag of popcorn and enjoy it while you relax underneath the 15' awning. What else do you need, choose this model today.